The solder resistance film of printed circuit board is a permanent protective layer. It not only has the function of solder resistance, protection, insulation resistance and so on, but also has a great impact on the appearance quality of circuit board. In the early stage of solder-resistant film printing, the screen pattern was made by using solder-resistant film, and then UV-curable solder-resistant ink was printed. After each printing, due to wire mesh deformation, inaccurate positioning and other reasons, the residual welding resistance film on the pad takes a long time to scrape, consuming a lot of manpower and time. Liquid photosensitive solder resist ink does not need to make screen graphics, using empty screen printing, contact exposure. This process has high alignment accuracy, strong adhesion, good welding resistance and high production efficiency, and has gradually replaced the photo setting ink. The purpose of pre-drying is to evaporate the solvent contained in the ink and make the welding resistance film non-stick. According to the different ink, the pre-drying temperature and time are different. Excessive pre-baking temperature or long drying time will lead to poor development and reduce the resolution; too short pre-baking time or too low temperature will adhere to the negative film when exposed and during development, the welding resistance film will be eroded by sodium carbonate solution, resulting in loss of luster or expansion and shedding of the welding resistance film. Exposure is the key to the whole process. For positive pictures, when exposed excessively, due to light scattering, the resistance film on the edge of pattern or line reacts with light (mainly the photosensitive polymer and light reaction contained in the resistance film), resulting in residual film, which reduces the resolution, resulting in smaller graphics and thinner lines. When it is insufficient, the result is contrary to the above situation. The figure becomes larger and the line becomes thicker. This situation can be reflected by testing: long exposure time, the measured line width is negative tolerance; short exposure time, the measured line width is positive tolerance. Optical energy integrator can be used to determine the optimum exposure time in the actual process. The viscosity of liquid photo resist ink is mainly controlled by the ratio of hardener to main agent and the amount of diluents added. If the amount of hardener is insufficient, the imbalance of ink characteristics may occur. When the hardener is mixed, it reacts at room temperature and its viscosity changes as follows. Within 30 minutes: Ink main agent and hardener have not been fully integrated, fluidity is not enough, when printing screen will be blocked. 30 min-10 h: Ink main agent and hardener have been fully integrated, and the fluidity is appropriate. After 10 hours: the reaction between the materials of the ink itself has been active, resulting in greater fluidity and poor printing. The longer the hardener is mixed, the more fully the reaction between resin and hardener is, and the better the gloss of the ink is. In order to make the ink gloss uniform and print well, it is better to mix the hardener and place it for 30 minutes to start printing. If the diluents are added too much, it will affect the heat resistance and hardening of the ink. In a word, it is very important to adjust the viscosity of liquid photo resist ink: the viscosity is too thick and screen printing is difficult. The screen plate is easy to stick to the screen, the viscosity is too thin, and the volatile solvents in the ink are too much, which makes the pre-curing difficult. The viscosity of ink is measured by rotary viscometer. In production, the optimum value of viscosity should be adjusted according to different inks and solvents. 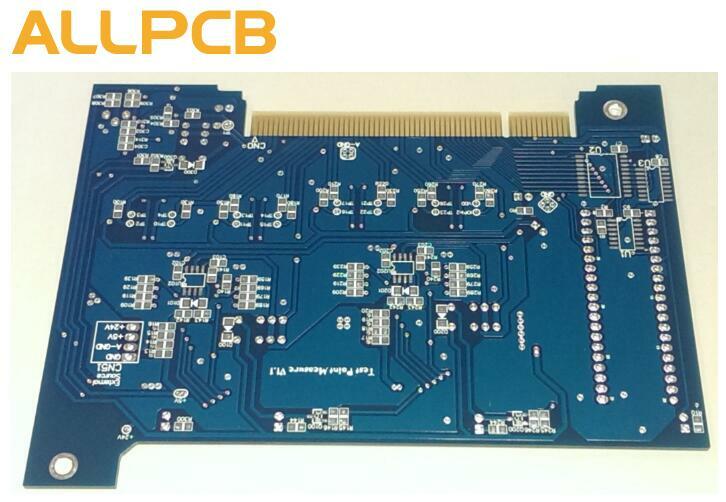 Graphic transfer is a key process in PCB manufacturing process. 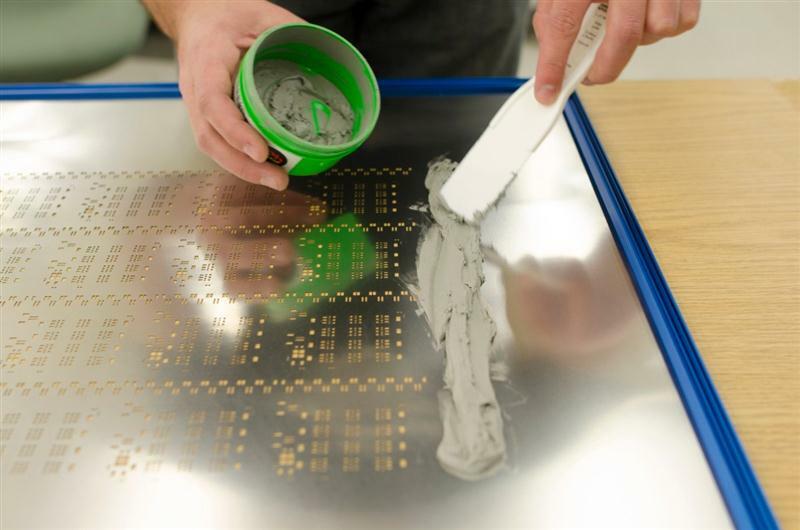 In the past, dry film process was often used to transfer printed circuit graphics. At present, wet film is mainly used in the production of inner circuit graphics of multi-layer PCB and outer circuit graphics of double-sided and multi-layer PCB. The methods of wet film coating include screen printing, rolling coating, curtain coating and dipping coating. In these methods, the wet film surface layer produced by roll coating method is not uniform, and is not suitable for making high-precision printed boards. The wet film surface layer produced by curtain coating method is uniform and thickness can be accurately controlled, but curtain coating equipment is expensive and suitable for mass production. 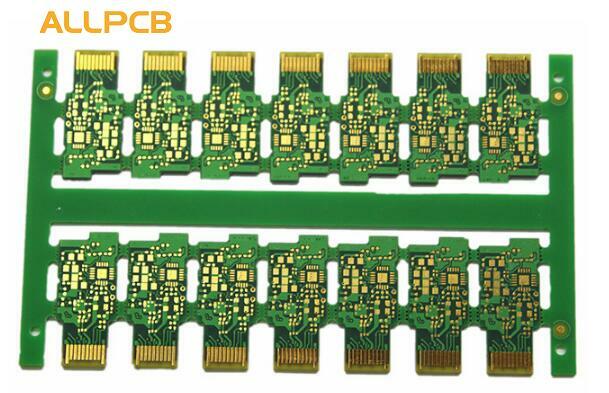 According to the current requirements of PCB production, screen printing method is generally used for coating. The bonding between wet film and PCB is accomplished by chemical bonding. Usually, wet film is a polymer with propionate as its basic component. It is bound to copper by free-moving unpolymerized propionate groups. In this process, chemical cleaning and mechanical cleaning are used to ensure the bonding effect, so that the surface is free of oxidation, oil pollution and water stain. The relationship between ink viscosity and diluents is shown in Figure L.
As can be seen from the figure, at 5% point, the dry degree of wet film is 150 PS, which is lower than the thickness of the viscous printing and cannot meet the requirements. In principle, there are no diluents in wet film printing. If it is added, it should be controlled within 5%. In the formula, HW is the wet film thickness; HS is the screen thickness; S is the filling area; P is the solid content of ink. Screen thickness: 60 um; Opening area: 30%; Ink solid content: 50%. When wet film is used to resist corrosion, the thickness of wet film is generally required to be 15-20 micron, and when used to resist electroplating, the thickness of wet film is generally required to be 20-30 micron. Therefore, when wet film is used for corrosion resistance, it should be printed twice, at this time, the thickness is about 18 micron, which meets the requirements of corrosion resistance; when used for anti-plating, it should be printed three times, at this time, the thickness is about 27 micron, which meets the requirements of anti-plating film thickness. When the wet film is too thick, it is easy to produce defects such as insufficient exposure, poor imaging and poor etching resistance. When the film is too thick, it will be eroded by liquid medicine, resulting in film stripping and high pressure sensitivity. When the film is too thin, it will easily produce defects such as overexposure, poor insulation, film stripping and electroplating metal on the film. In addition, when the film is too thin, film stripping will occur. When the exposure is too high, film stripping will occur. The speed is also slower.